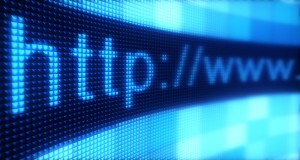 WASHINGTON, D.C. – Federal Communications Commission Chairman Tom Wheeler today announced a proposal to modernize and reform the FCC’s Lifeline program in order to make broadband Internet more affordable and accessible for low-income households. The Lifeline program currently helps eligible low-income consumers receive phone service. The Chairman’s proposal calls for extending Lifeline’s $9.25 monthly credit to be applied to either phone service or Internet access. Wheeler noted that broadband has become an essential service available in 95 percent of households with annual incomes of more than $150,000, but only 48 percent of those making less than $25,000 a year have access. Consumers Union, the advocacy arm of Consumer Reports, is a strong supporter of the Lifeline program for consumers, because it plays an important role in extending the benefits of communications services to those who would otherwise be unable to afford them. The members of the FCC are expected to vote on the Chairman’s proposal at their next monthly meeting on June 18.